As you may have read, the FDA removed the ORAC online database back in 2012. That said, Brunswick Laboratories, which is the internationally-recognized laboratory that routinely tests and certifies Trévo’s product, has taken the original scope of ORAC testing to an entirely new, much more complex level.Case in point, the original ORAC scope of testing addressed only the single peroxyl radical test (the most common free radical present in the human body). Today, however, ORAC 6.0™ consists of six types of ORAC assays that evaluate the antioxidant capacity of a material against six primary reactive oxygen or nitrogen species (ROSs or RNSs, commonly called “oxygen radicals” or ROSs) found in humans: peroxyl radical, hydroxyl radical, superoxide anion, singlet oxygen, peroxynitrite, and hypochlorite. 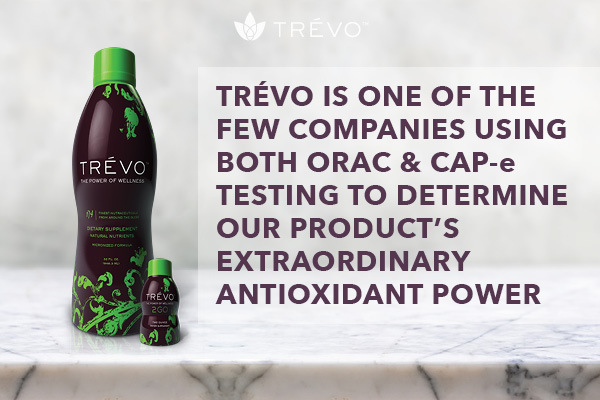 As such, ORAC testing has been and remains a valuable analytical tool in connection with other investigative methods, such as the CAP-e analytical testing that Trévo also utilizes in determining the antioxidant efficacy of our product. 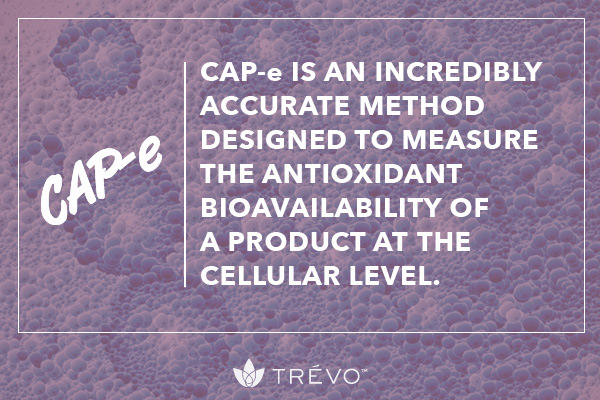 As just mentioned, Trévo also utilizes CAP-e testing to verify the antioxidant power of its product. The CAP-e assay (Cell-based Antioxidant Protection in Erythrocytes) is an incredibly accurate method for evaluating the antioxidant potential of natural products based on the concept that many such antioxidant products are only of biological relevance if they are able to protect living cells. In other words, it is a cell-based assay for the evaluation of whether antioxidants in nutritional products are capable of protecting live cells from oxidative damage. The test is designed to measure the antioxidant bioavailability of a product at a cellular level. This measurement reflects the relative antioxidant protection of cells by the test product per weight, compared to the known antioxidant, Gallic Acid. The CAP-e antioxidant protection test is the new industry standard specifically developed to investigate how bioavailable the antioxidants are to the cells. This cell-based testing has emerged as a new technology to assess the complex biologic protective mechanisms in the cells. Put simply, the test can tell what is going on inside the cells of our bodies after consuming the supplement. The CAP-e assay is performed by allowing red blood cells to absorb antioxidants from a physiological liquid containing soluble product. All compounds not absorbed into the cell are then removed. The cell is exposed to oxidative stress. An indicator dye shows the degree of intracellular damage to the cell, in the presence versus absence of serial dilutions of the test product. The CAP-e test uses erythrocyte cells. “Erythrocyte” means “red blood cell”. This type of cell is the most abundant in our blood stream. In a healthy person there are more than 100 times more red blood cells than white blood cells. The red blood cells are best known as transporters of oxygen through our body. However, we are beginning to understand the enormity of other roles these cells play. Whereas the white blood cells provide protection from invading pathogens by immune defense mechanisms, the red blood cells support the life and health of the white blood cells. Of importance to the antioxidant discussion, the red blood cells help to protect the vasculature, tissue, and the other cells in the blood stream from oxidative damage. 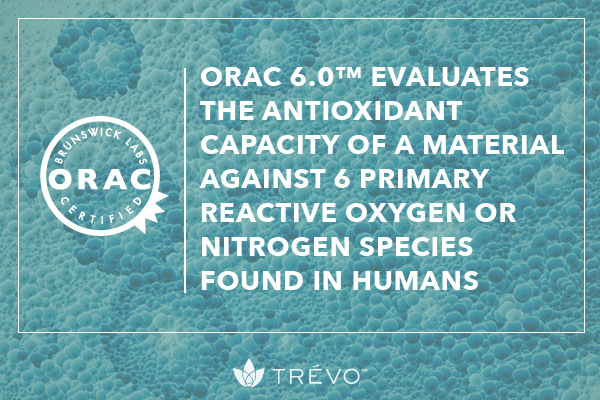 Trévo is one of the very few companies using both ORAC Testing and CAP-e testing to determine our product’s remarkable antioxidant power. 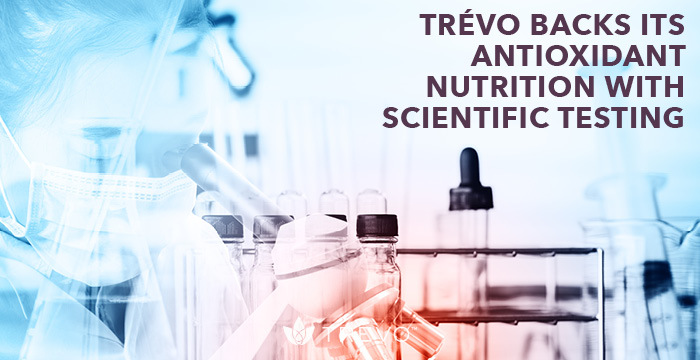 In testing Trévo, NIS Labs found that the antioxidant nutrients in just one-half ounce of Trévo are powerful enough to start providing measurable cellular protection!